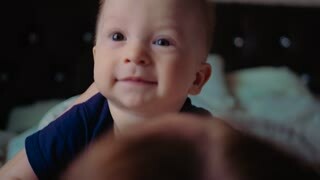 Search Results for "footage happy"
Slow motion footage as young happy female dancing and spinning around in a living room, girl posing for beautiful pictures. 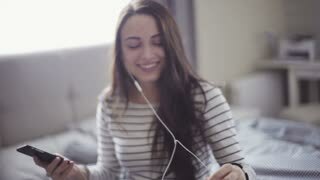 Slow motion footage of a young attractive happy woman who is running through a hall in apartment and looking around, girl listens to the music on her mobile device with earphones plugged-in. Beautiful young bride in white wedding dress spinning around. Happy bride celebrating her marriage. Slow motion video footage. A young and happy mother and her small son. Resting together at bed. Maternity concept. Parenthood. Motherhood Beautiful Happy Family Footage.